During a special meeting with the Organization for Security and Co-operation in Europe, Archbishop Yevstratiy (Zoria) referred to the systematic persecution of the clergy and faithful of the Orthodox Church of Ukraine which takes place in the occupied territories of Ukraine – in Crimea and in separate districts of Donbas - by those who control these territories now. He wrote about this on his Facebook page, according to the UNN. 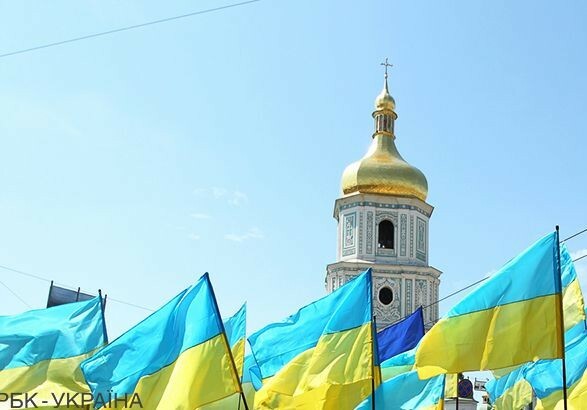 “In Crimea, the Russian authorities want to take away from the believers the only Ukrainian Orthodox church of Sts Volodymyr and Olha in Simferopol and liquidate the church in Yevpatoria as illegal. Archbishop Clement, the leader of the Ukrainian Orthodox community of Crimea, is under constant pressure. On March 3 this year in Simferopol, he was detained by the police for 9 hours on absurd charges – allegedly he stole religious items from his church and cursed in a public place. Archbishop Clement heads the human rights mission of our Church and we perceive the persecution of him by the Russian authorities as pressure on the leader of the Ukrainian community of Crimea and human rights activist,” Archbishop Yevstratiy (Zoria) wrote.